The residence of the U.S. Ambassador to Việt Nam. Perhaps, just perhaps, this blog might provide a small but helpful antidote to the toxic political season underway in the United States. I look for facts, not coincidences, in life. And so what I’ll be revealing in this post is, first and foremost, simple fact. Because the wisdom of President Barack Obama appointing Ted Osius as the U.S. Ambassador to Việt Nam contains a lot of facts that might help you see the United States in a different light. After meeting Ambassador Osius, I am more proud of my country than ever before. 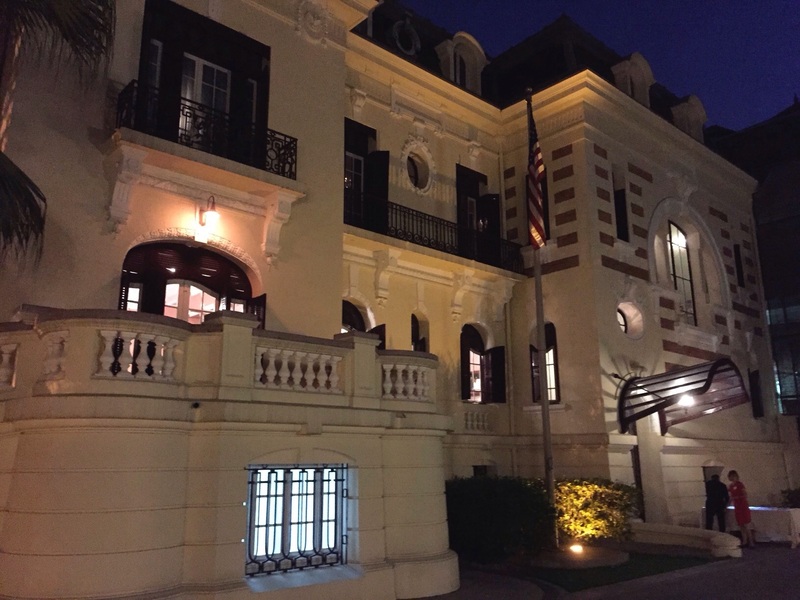 And our Embassy staff in Hà Nội is an inspiring group of Americans in the foreign service!